We finally saw The Social Network - lucky we could still see it in a cinema! It's lost big time to The King's Speech in the Oscars, true, but it doesn't make it a less enjoyable film. 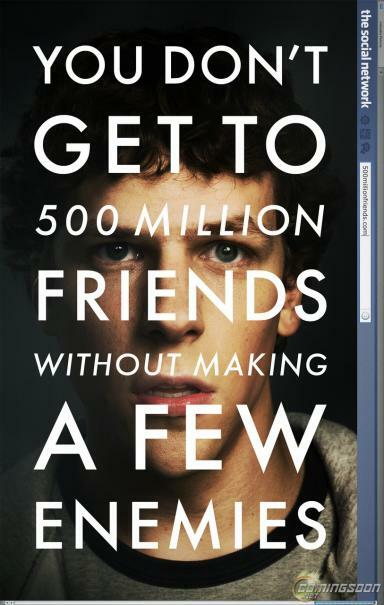 I like the film - didn't expect it to be like this, with the detailed study of the breakdown of the friendship between the two founders and the soar of the social networking site. S finds the film a bit boring though - he said everything mentioned in the film are kind of familiar to him / people who have gone through having start-ups. Well, perhaps I was focusing more on the disintegration of relationships and how Zuchkerberg's character evolves. Perhaps the film doesn't entirely represent reality, but it doesn't make it a less enjoyable film.